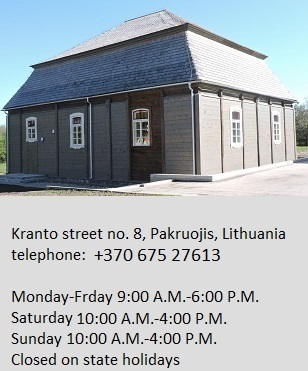 Lithuania has a long history of book smuggling, but the Lithuanian side of the story usually focuses on efforts by smugglers to import books in Lithuanian into the territory of the Baltic states incorporated into the Russian Empire by Catherine the Great and attempts to set up underground Lithuanian schools in barns across the country. The entire lore of book smuggling was popularized after World War II by the author Ray Bradbury in his novel “Fahrenheit 451.” Now the Wall Street Journal and author David Fishman remind Lithuanians and the world of another chapter in the same story: the “Paper Brigade” in the Vilnius ghetto answerable to Rosenberg charged with looting Judaica treasures from YIVO, the Great Synagogue and other sources in the Nazi-occupied Lithuanian capital. The Book Smugglers: Partisans, Poets and the Race to Save Jewish Treasures from the Nazis. The True Story of the Paper Brigade of Vilna, by David E. Fishman. 312 pp. 28 photos, 2 maps. University Press of New England, 2017. Audiobook narrated by P. J. Ochlan. How a small band of Jews resisted Nazi efforts to destroy the cultural treasures of the Jerusalem of Lithuania. The Nazis did not merely want to murder all the Jews; they were also determined to eradicate all Jewish art and literature. In “The Book Smugglers,” David E. Fishman, a professor at the Jewish Theological Seminary in New York, introduces us to a thriving Jewish culture in Eastern Europe and to the people who risked their lives to save this culture from the barbaric Nazi onslaught. 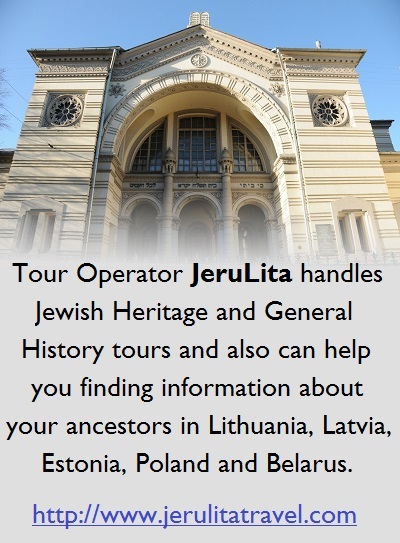 Vilna, better known today as Vilnius, was the cultural capital of Eastern European Jewry. Nicknamed the Jerusalem of Lithuania, on the eve of the Holocaust the town had an ethnically diverse population of 193,000, of whom about 28% were Jews. It was foremost a city of books for the people of the book. 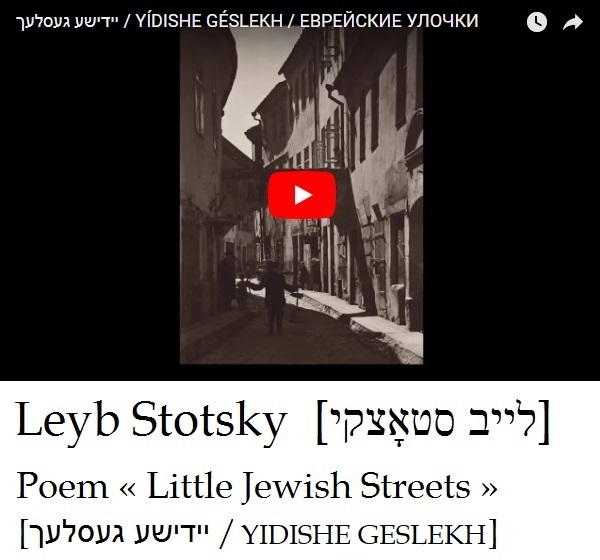 Yiddish literature flourished in a vibrant writers’ scene. The city’s Jewish cultural institutions, such as the Strashun Library and the Yiddish Scientific Institute, were famous for their rare literature and Jewish-history collections. On June 22, 1941, the German Wehrmacht invaded the Soviet Union. Vilna was captured two days later, and the assault on the Jewish community began almost immediately. Forty thousand people were crammed into two small ghettos created in an area that, before the war, had housed only 6,000 people. Food, water and heating were sparse. The SS and its local Lithuanian collaborators routinely rounded up large groups of ghetto residents into pits in the nearby forest of Ponary to be shot. But Vilna’s cultural treasures, too, were under deadly threat. Hitler’s men systematically looted art all over Europe. Alfred Rosenberg, the leading ideologist of the Third Reich, was especially interested in plundering books and artifacts related to Jewish culture for his Institute for Study of the Jewish Question, located in Frankfurt and intended to help legitimate persecution and genocide. A small percentage of the objects and archives stolen from Yiddish Vilna was deemed useful for this purpose. Everything else was destroyed. 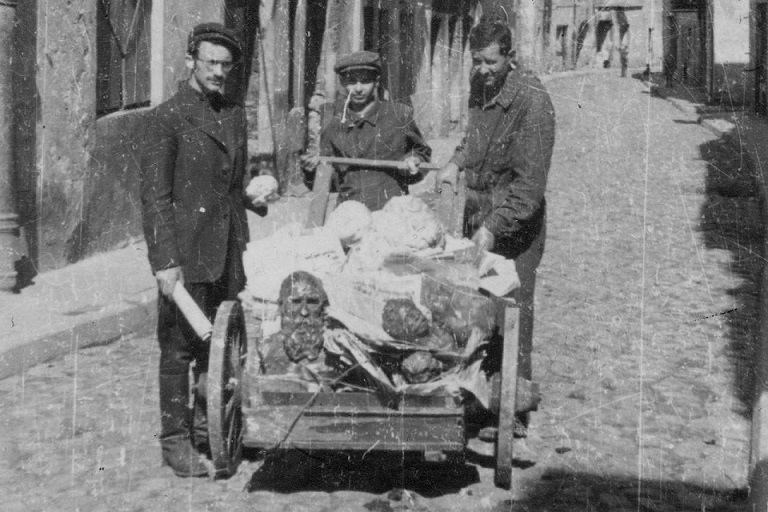 To assist the Nazis in this looting, 40 Jewish scholars, librarians and workers from Vilna were forced to help select “the books that will be deported—and the ones that will be destroyed,” Mr. Fishman writes. 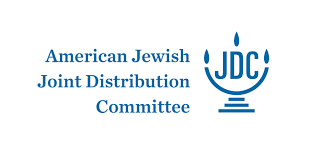 Members of this Jewish slave-labor brigade decided to resist and undermine the destruction of their cultural treasure. Kruk “was the original book smuggler,” as Mr. Fishman puts it. Together with others from the “paper brigade,” he would hide from the Nazis important papers and books, placing them in secret hideouts such as a stone-floored cavern under the ghetto. “Our present is as dark as this bunker,” wrote the poet Shmerke Kaczerginski, “but the cultural treasures radiate with the promise of a luminous future.” With the perpetrators aiming to wipe out not just the lives of these Jews but also most traces of their existence, taking the risk to rescue their books was not just a conscious act of resistance but an existential statement. With September 1943 came the end of the ghetto. 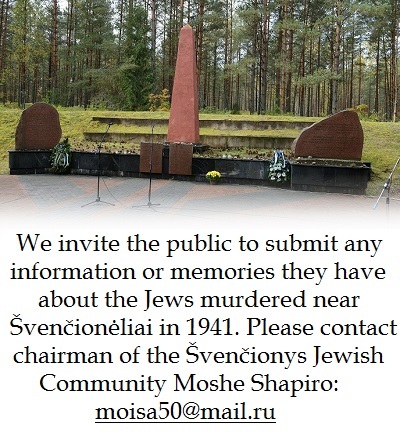 Several thousand Jews were sent to the Treblinka extermination camp, while the sick and elderly were executed just outside the city. The rest of the ghetto population was deported to labor camps. An armed uprising, like the one in the Warsaw ghetto a few months before, had to be called off for lack of support—but many Jewish partisans went into the woods to fight on. It was the darkest hour for Yiddish Vilna, with no way for the book smugglers to know if any of their buried treasure would eventually be rescued. When Vilna was taken by the Soviet army in July 1944, the surviving members of the paper brigade found some of the hiding places still intact. Among the saved gems were the diary of Theodor Herzl, the father of political Zionism; a painting by Marc Chagall ; manuscripts and letters by Leo Tolstoy, Maxim Gorky and Sholem Aleichem (whose “Tevye the Dairyman” would later inspire the Broadway musical “Fiddler on the Roof”). Many of the artifacts would eventually end up at the YIVO Institute for Jewish Research in New York. 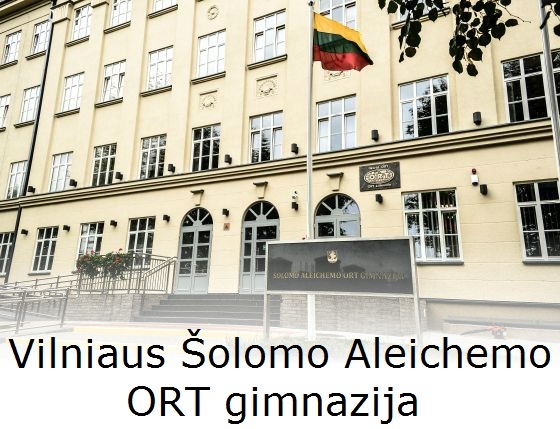 But the Jerusalem of Lithuania, the Jewish city of the book, was no more. “The Book Smugglers” is widely based on the diaries and memoirs of the men and women of the paper brigade, including Kruk’s, skillfully woven together. If there is any criticism, it is that the reader may find the book’s misspelling of German terms distracting and the lack of German sources regrettable. But the immediate and unfiltered personal stories of the book smugglers make for a powerful read. They convey the timeless message that, even in the most extreme circumstances, we still have a choice, however minimal, about how to respond to existential threats. The people targeted for extermination rescued something important to them, something they deemed bigger than themselves. In the end, the perpetrators could kill them but couldn’t take away their humanity.